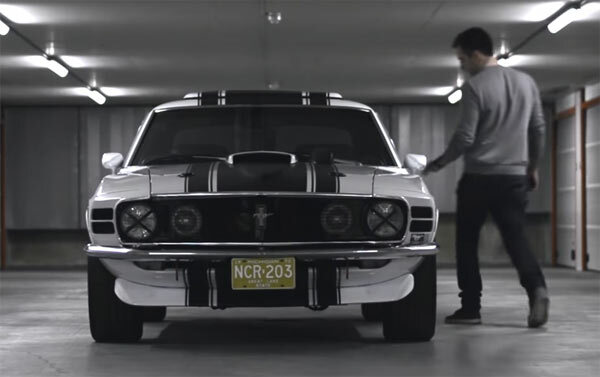 As we have documented in previous posts, Europe has its own contingents of muscle car fans as is evident from this 1970 Ford Mustang Snow White from Belgium. Ken’s father the original owner of the Mustang bought it back in 1978 in its original lime green gold metallic color, repainted it red but it then fell by the wayside and started to rust. Ken steps in and turns it into the magnificent ride you see here, with a 351 c.i./5.8-liter small block Cleveland V8, four-barrel carburetor producing roughly 300 horsepower and 385 lb.-ft. of torque through a 3-speed manual transmission. Like many old vehicles that have fallen into disrepair, they can be easily discarded unless someone spots their future potential. More than anything the video brings this point home. Related ItemsFord Mustang Coupe 1970 "Mss. Snow White"